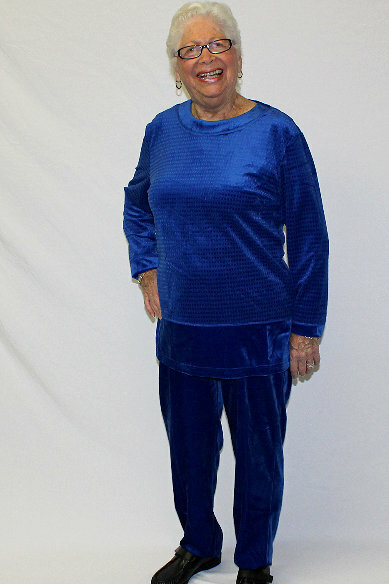 Stylish, luxurious velour in a 2 piece set. Perfect for everyday or special occasions. Pullover top with elastic waist pants. 100% polyester.